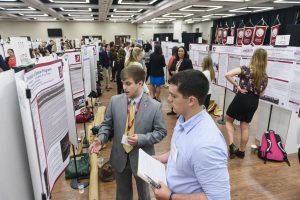 TUSCALOOSA, Ala. — More than 450 undergraduate students at The University of Alabama are highlighting their research and creative projects during the Undergraduate Research and Creative Activity Conference March 28-30. The Undergraduate Research and Creative Activity Conference will host displays of work of more than 450 students. 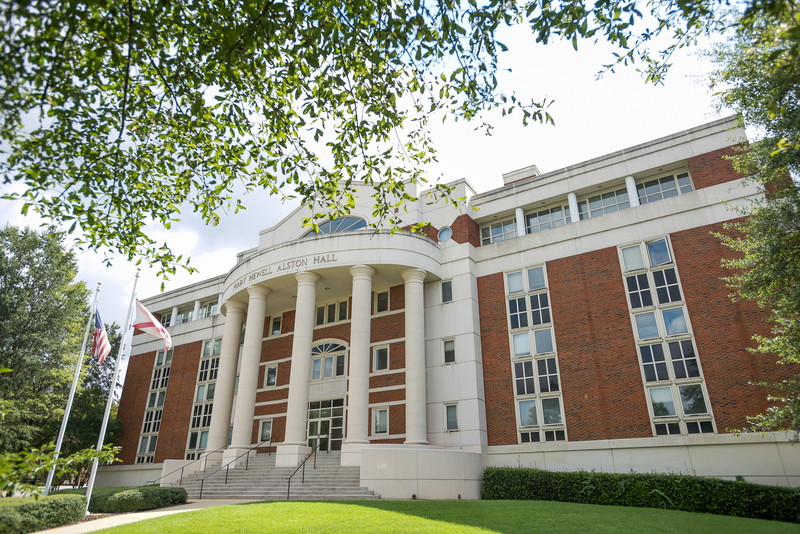 The 11th annual conference, hosted by UA’s Office of the Vice President for Research and Economic Development, kicks off at 5:30 p.m. Wednesday, March 28, with a Tide Talk and keynote speaker in Smith Hall. Student poster presentations begin at 8:30 a.m. and last until 4 p.m. Thursday, March 29, in the Ferguson Center Ballroom, broken into four sessions. The conference spurs interest in research among undergraduate students and helps students polish their communication skills, said Dr. Kim Bissell, director of the office for undergraduate research. “We have got some pretty phenomenal students who are truly doing great things,” she said. Students compete for cash prizes and gain experience in presenting and defending their research projects to judges during the post presentations. In preparation for the event, students pair with faculty mentors who help guide them through the development of their projects. This year the poster presentations are grouped by research areas, instead of by academic colleges or departments. The creative showcase begins at noon Friday, March 30, with about 30 students, giving them an opportunity to demonstrate their creative talents and the research component of that creative work. Presentations will include artwork, sculpture, poetry and fashion design as well as videos of fine arts performances. An awards luncheon will be Monday, April 9, in the south end zone of Bryant Denny Stadium.